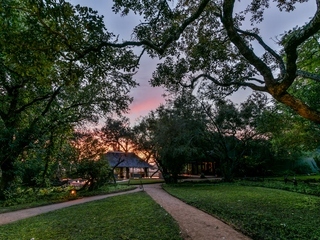 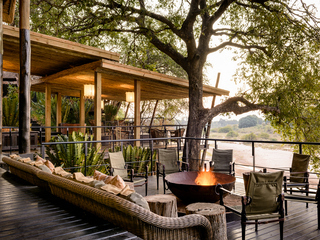 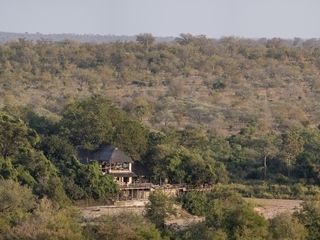 Another of Singita’s properties in Sabi Sands, Boulders is very close to its sister camp Ebony but run completely separately. 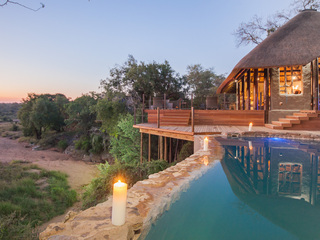 Equally luxurious and with the price tag to match, this is a top end choice but one that provides an unrivalled experience that is worth every penny. 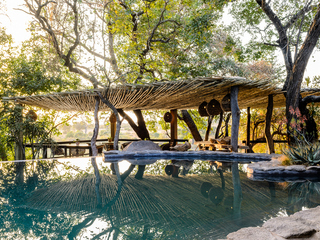 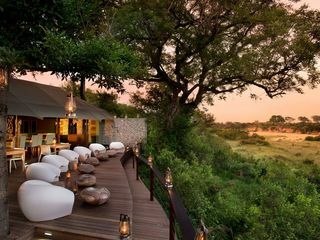 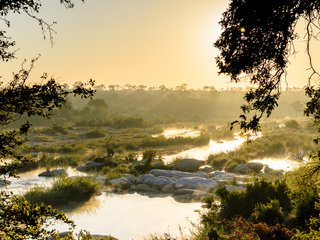 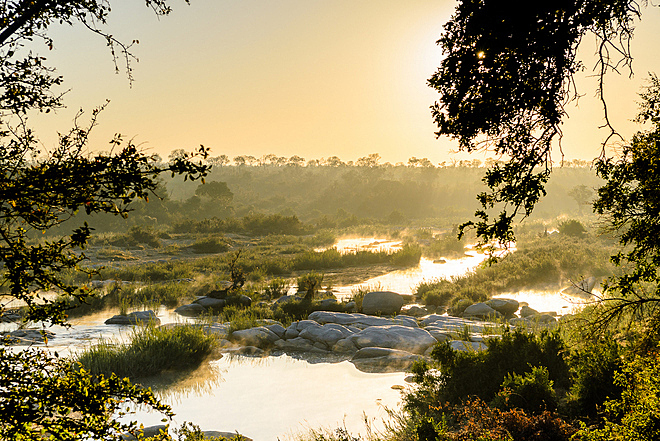 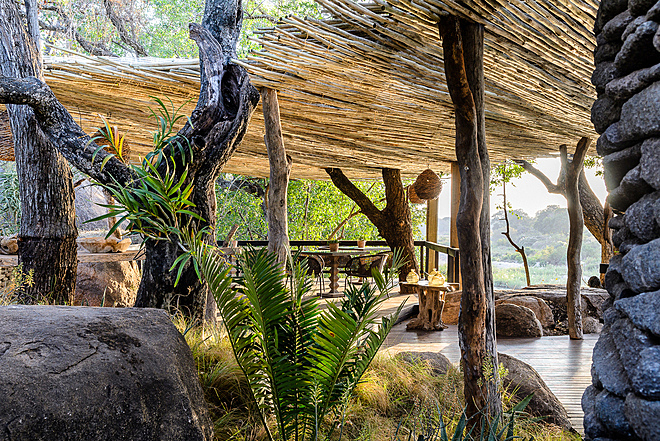 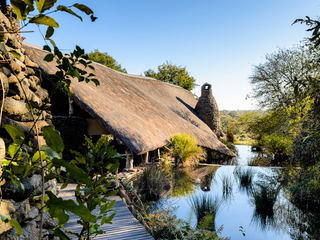 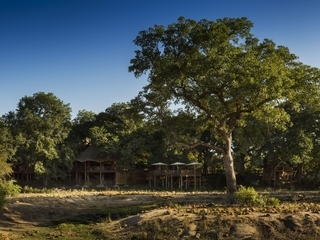 Built around a giant boulder, as the name suggests, on the bank of the Sand River this is a chic, five star Lodge with 360 degree views and intimate wildlife experiences. 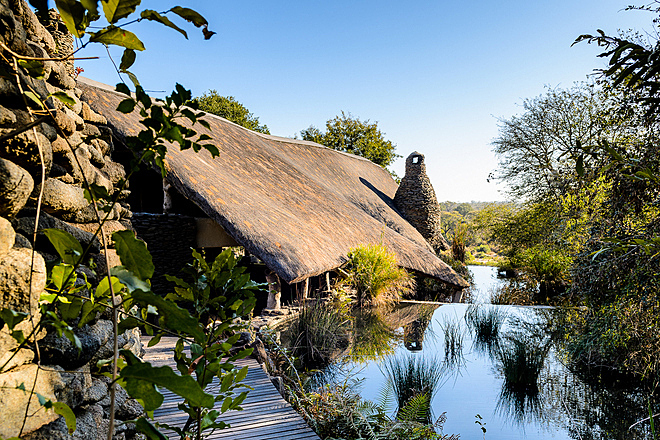 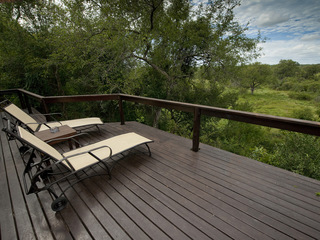 The communal areas make the most of the stunning views with an open-sided lounge and look-out deck perfect places to catch wildlife drinking and bathing in the river below. 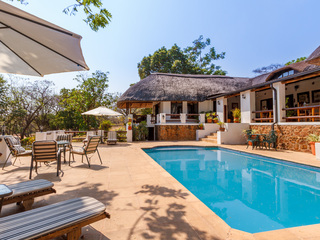 A relaxing bar area, gym, spa and library are all available for guest use as well as a wine cellar for wine tasting and to complement exceptional dinners. 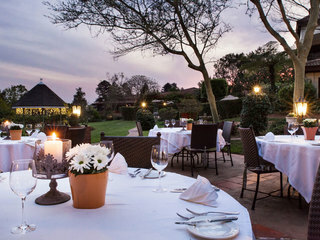 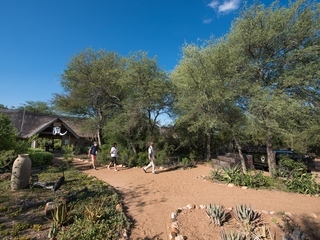 The hospitality and professional service offered by the lodge is what it is famous for and it is the staff as much as the facilities that make Boulders such a luxurious establishment. 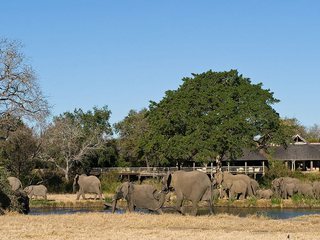 The reserve is known as ‘Big cat country’ and the opportunity to see so many species as well as the ‘Big Five’ is a rare one. 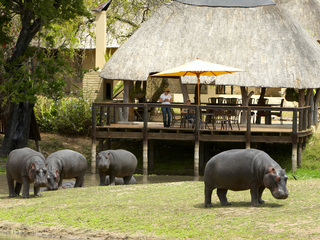 Game drives are taken twice daily by some of the best guides in the area as well as regular walking safaris. 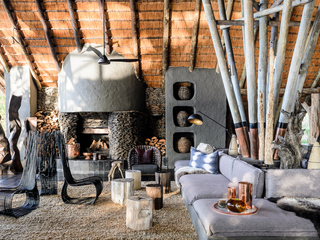 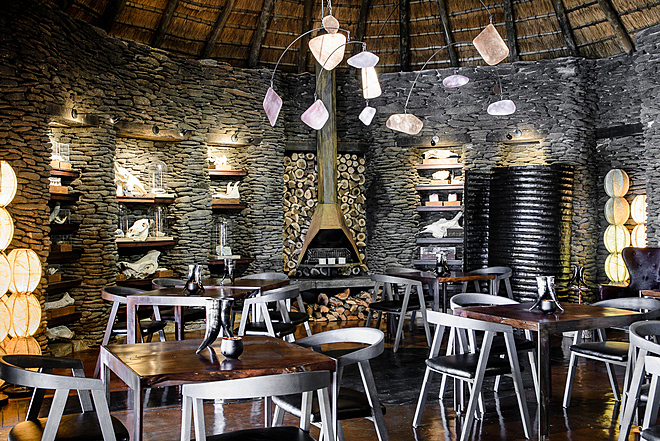 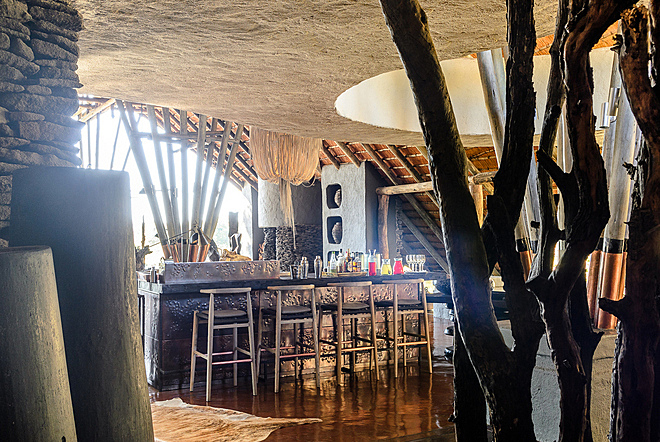 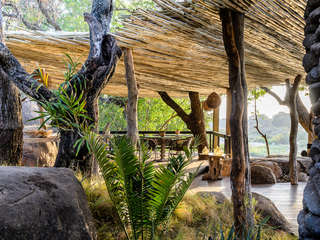 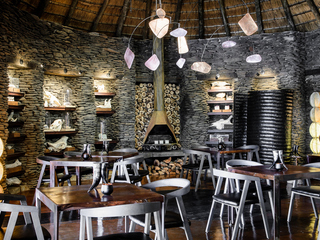 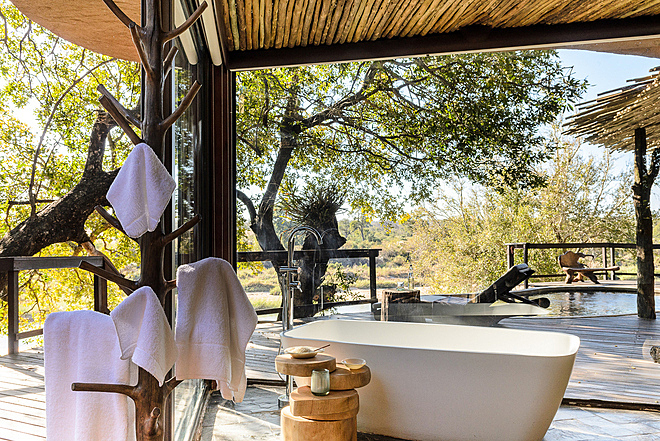 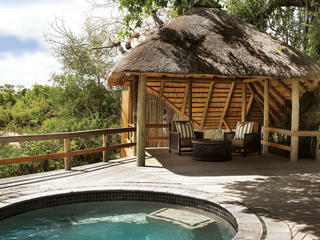 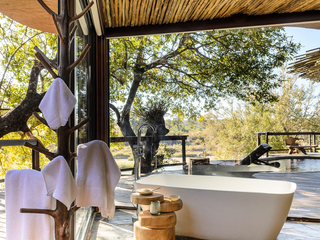 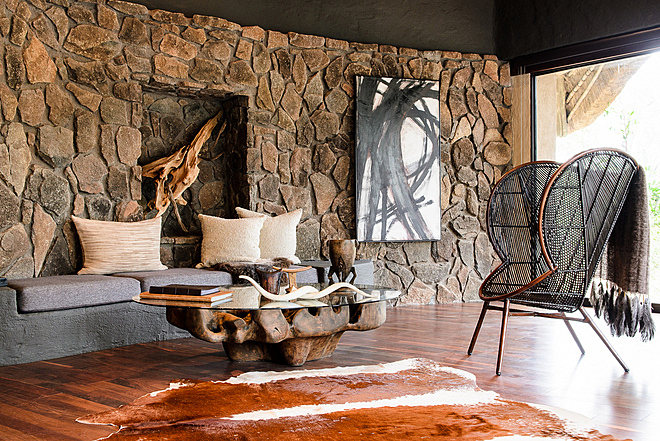 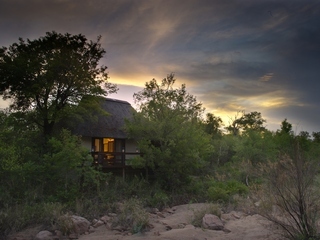 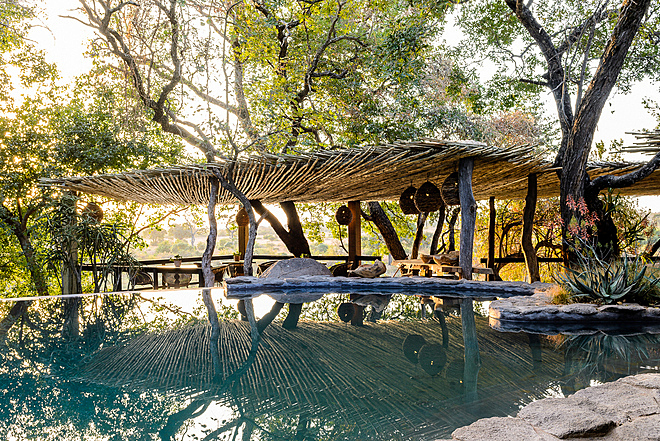 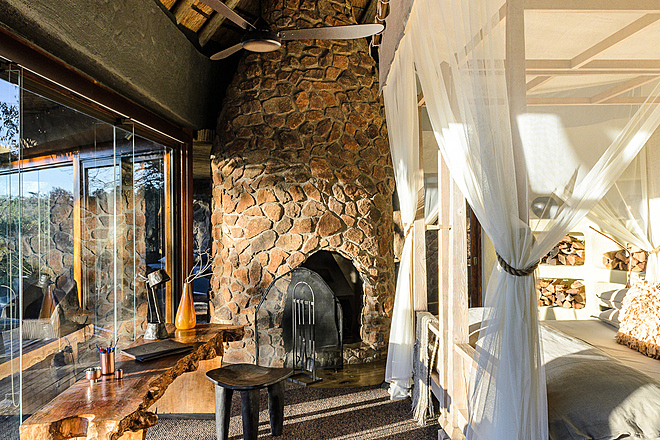 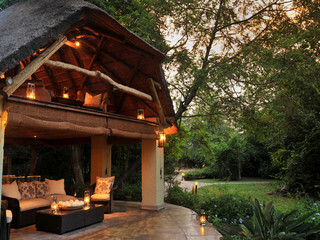 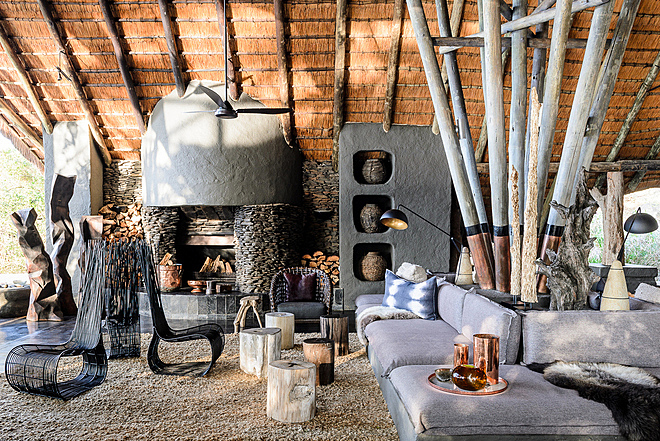 With Ebony and Boulders being the only two lodges in the reserve you are guaranteed exclusivity and privacy. 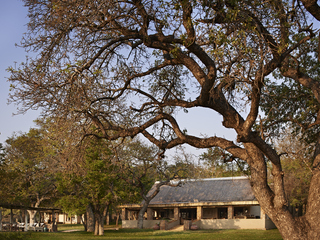 For those feeling active, mountain biking and archery can also be organised. 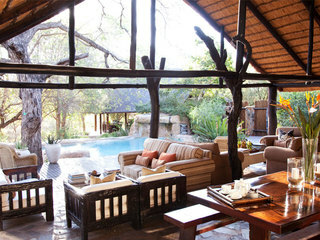 The accommodation is split into 12 exclusive, glass fronted suites including two, double family suites. 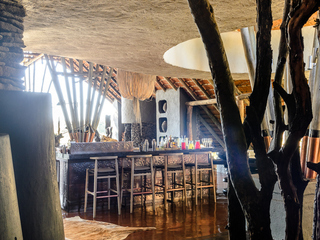 The rooms are beautifully furnished using natural colours and materials and are spacious and light. 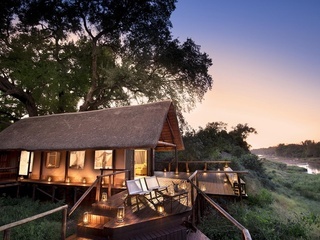 Game viewing is just as good from the comfort of your room with each suite boasting a private deck overlooking the river bed as well as a private heated plunge pool and outdoor showers. 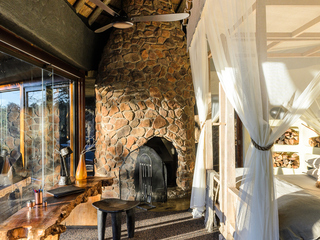 Inside, a double-sided fireplace warms the room and all modern amenities including wifi are present. 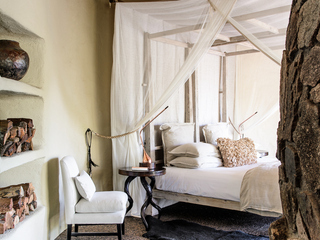 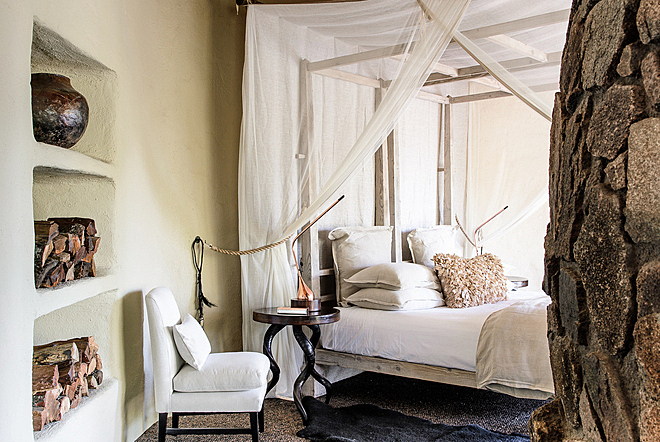 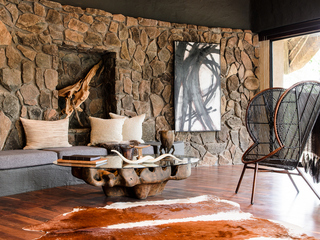 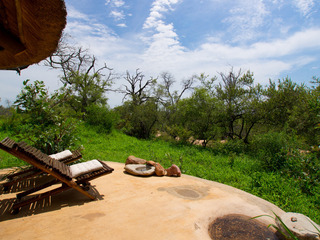 Children over the age of 10 are welcome at Singita Boulders. 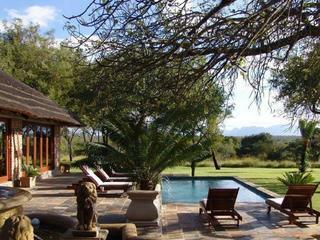 There are babysitting services available and tailor-made activities to suit each family. 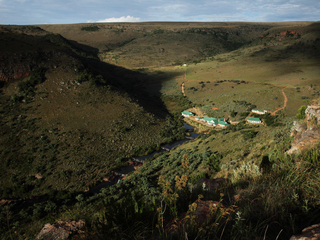 In the interest of safety, childrens’ participation in game activities is at the discretion of the guides. 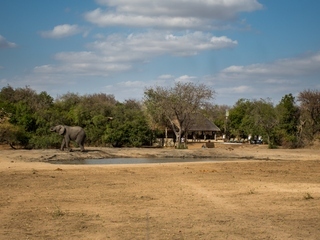 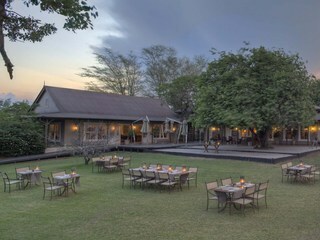 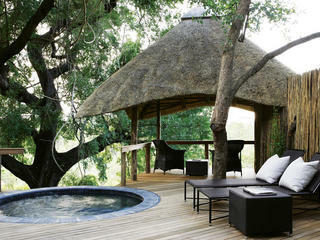 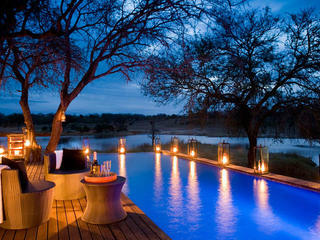 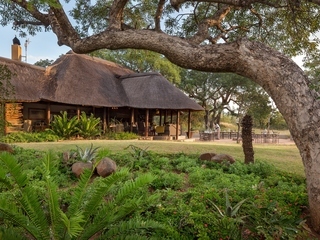 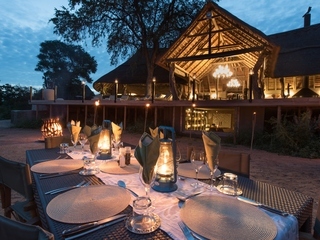 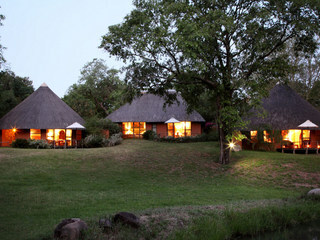 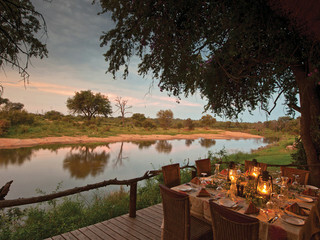 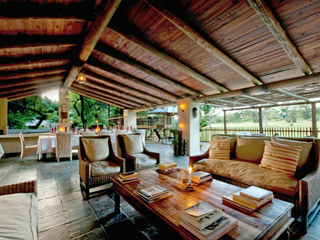 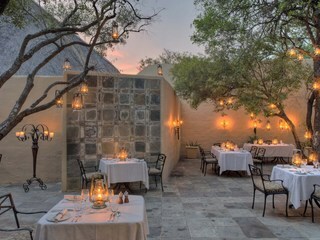 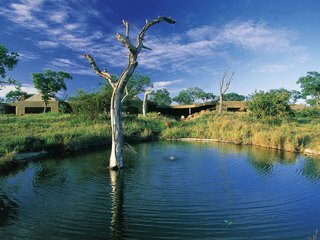 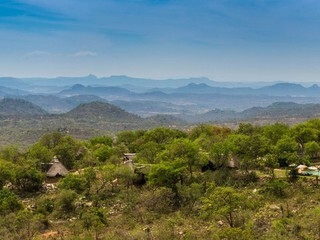 Beautiful and with fantastic game viewing this is an unforgettable place to stay.